Computer Virus Removal. How its done? Computer virus or malware generally enter into the system without being noticed. These are common problems faced by computer users at least once in a while. During such unanticipated security breach, virus removal forms an important aspect of maintenance. There could be a variety of reasons for computer virus or malware to get into the system—an inefficient virus protection program may be one of the reasons too. Leaving the virus or malware issue unattended on a computer or laptop will prove devastating results as they stealthily erase system files and damage the system hardware. It is highly important to have an up-to-date anti-virus software installed on the computer to steer clear of all such threats. If you are experiencing anyone of the above listed 7 warning signs then you can be sure that the system is infected by a virus or malware . Be quick to react, download an antivirus software or seek the assistance of an authorized personnel. Besides that, you can start investigating on your own by following the below mentioned step-by-step procedures. Restart your system and repeatedly press F8 for Advanced Boot Options menu and in that choose Safe Mode with Networking and press Enter. By doing so, it is easy to tackle nefarious files as they’re not actually running or active. And, disconnect the internet at all costs, it prevents the infection from spreading. Delete temporary files before you start running a virus scan. It helps free up disk space, speed up the virus scanning process and even get rid of some virus or malware. Make use of the Disk Cleanup tool to delete the temporary files from the computer. Go to the start menu, select All Programs, click on Accessories, System Tools, and then click Disk Cleanup. Running a scanner is not enough to remove harmful infection but it is sufficient for eliminating standard infections. So, download a virus/malware scanner to narrow down on the issue. It is always better to go with a real-time anti-virus program since it keeps running in the background constantly checking for viruses and malware. Please Note: Never install more than one real-time anti-virus program on a system as it creates problems. You need an internet connection to download the virus/malware scanner, if you have disconnected it for security and safety reasons, have it connected for downloading the scanner. Now that you have successfully downloaded and installed the Virus/Malware scanner, run the on-demand scanner first and thereafter run your real-time scanner. One of them will effectively remove your computer virus or malware. After successful virus removal from the computer, you will have to reinstall the files and programs that were damaged by the virus or malware. Make use of the backups for re-installation. In simple, do the backups regularly and stay protected. If you are not sure when was the last time you updated your real-time anti-virus, it is never too late, do it today and do it now. Malware attacks can prove hazardous and can lead to identity theft and data loss. 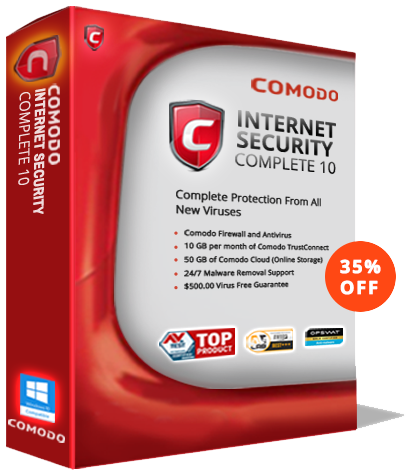 Check and update the latest anti-virus software for virus protection and malware removal.